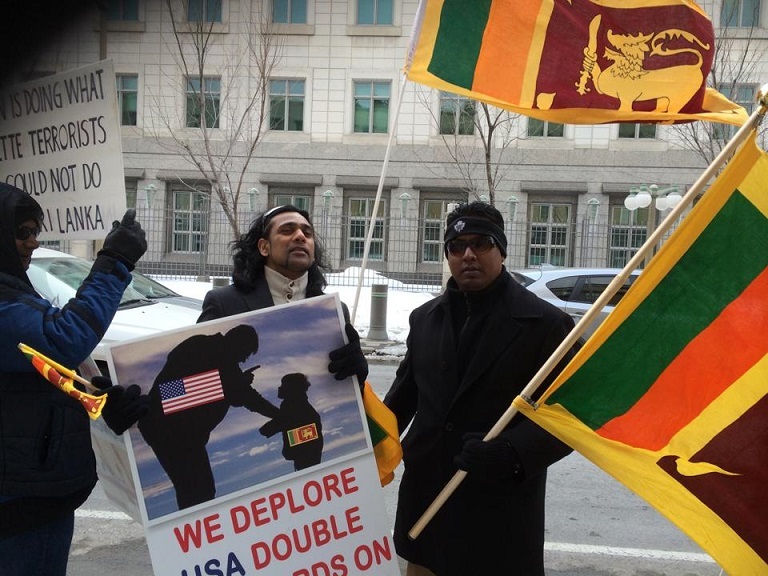 Canadian Sri Lankans of Ottawa held a large Hands Off Sri Lanka protest rally outside USA Embassy on Tuesday March 25 2014 from 2:00 pm to 5:00 pm in subzero temperatures. Various Ottawa organizations, religious figures and members from Toronto and Montreal too joined in protesting against the US resolution. 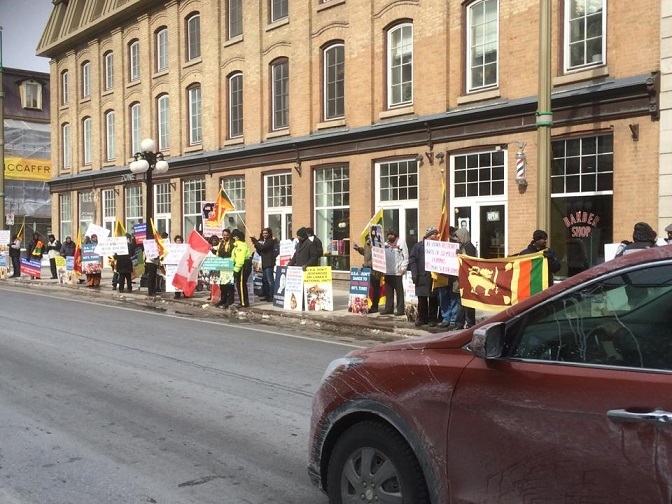 This rally was together by the newly formed organization Voice of Canadian Sri Lankans of Ottawa in less than 3 days.